For over 40 years, home builders have chosen to partner with Primera. And it’s no wonder; from our smooth selection process and thorough installation, to our stunning materials and dedication to service, Primera is the partner home builders deserve. Whether you’re a custom or production home builder, Primera offers only the highest quality materials to bring your interiors to life. As your partner, we take your project to heart. Our installations are done with both efficiency and meticulous care, with service to match. Together, we bring the homebuyer’s vision to life. We know choosing the best materials, finishes, styles, and patterns is overwhelming for a home buyer and can easily cause delays. But with Primera, the once-agonizing selection process is now fast, smooth, and enjoyable. Utilizing VEO software, Primera helps home buyers make complex flooring decisions about layouts and flooring breaks: a critical factor for builders when selecting a partner. 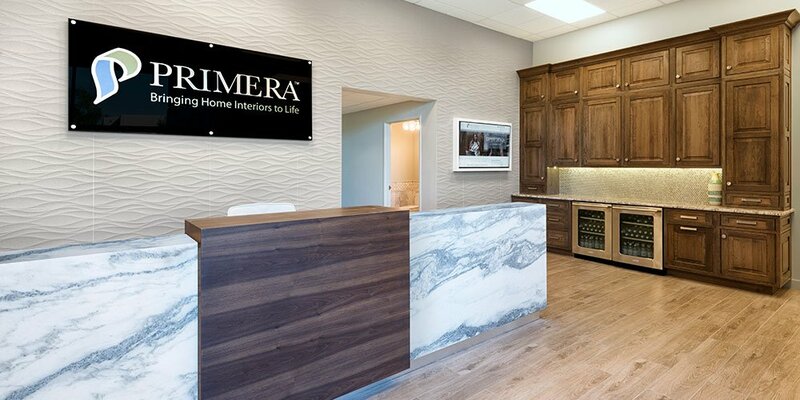 What’s more, Primera can create design centers for home builders in any location. Utilizing Primera staff and the VEO software even a sales office environment can become a designated off-site design center. With decades of experience working alongside home builders, Primera offers the highest standards of design, installation, service and support possible. Over the years, Primera has had the pleasure of partnering with many builders including K. Hovnanian, Taylor Morrison and Shea Homes. Builders are offered an unrivaled inventory of products, such as cabinets, countertops, flooring and window treatments, as well as expert design services. Experienced and constant field supervision ensures projects are completed according to expectations. The result is unsurpassed service and accountability from the bid process through to completion.